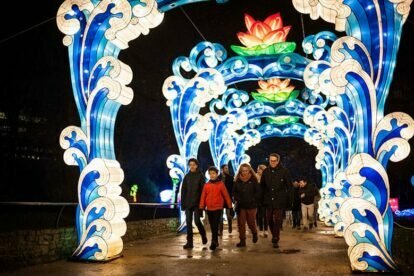 China Light is a magical light spectacular in Antwerp’s ZOO. As soon as you set foot in the monumental animal park, you’ll feel as if you’re in an oriental fairy-tale. 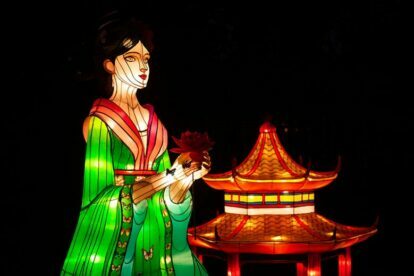 Thousands of twinkling lights and lanterns take you to a magical place… Dragon boats, butterflies, lotus flowers… each more amazing than the next. Also a great place to take the best selfies! 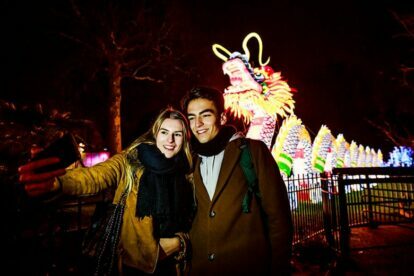 You can only see China Light in Antwerp, which is why this event attracts thousands of visitors every year, including many locals. They like to visit it with their family or friends. You can also have a snack or a drink here. And, of course, the menu has been adapted to the setting. So find a fire basket and enjoy a steaming wonton soup, a Chinese tea or a tasty Tsingtao beer. What makes China Light even more special is the setting. The ZOO is a monumental site in the city. Its neighbour is Antwerp Central, the world’s most beautiful station. The centuries-old trees in the ZOO and some of the historic buildings will also be lit up, adding to the Wow factor!